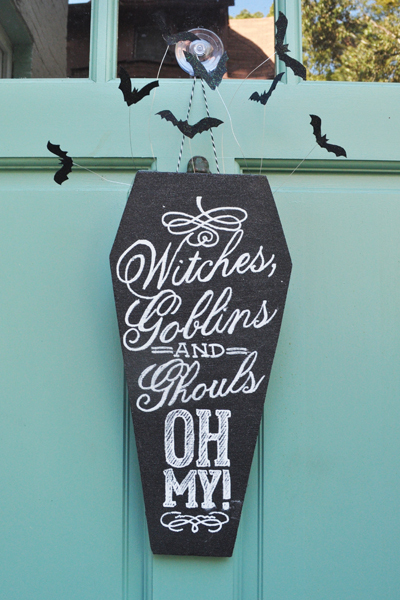 Wanted to do something different this year for our Halloween door decoration and I have been loving all the chalkboard type I have been seeing so I decided to combine both. 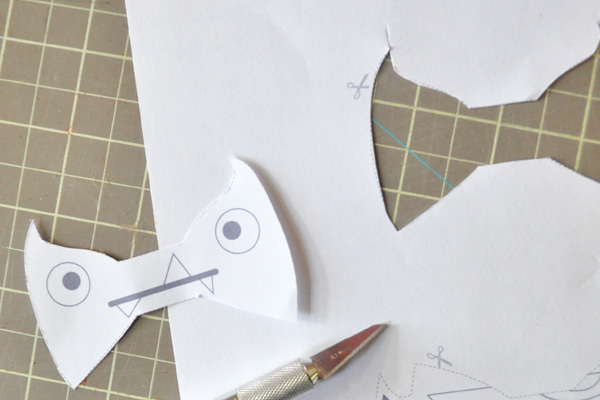 STEP 1: Print out the “free” template below to the size you will need (my final size was 8” x 17”). 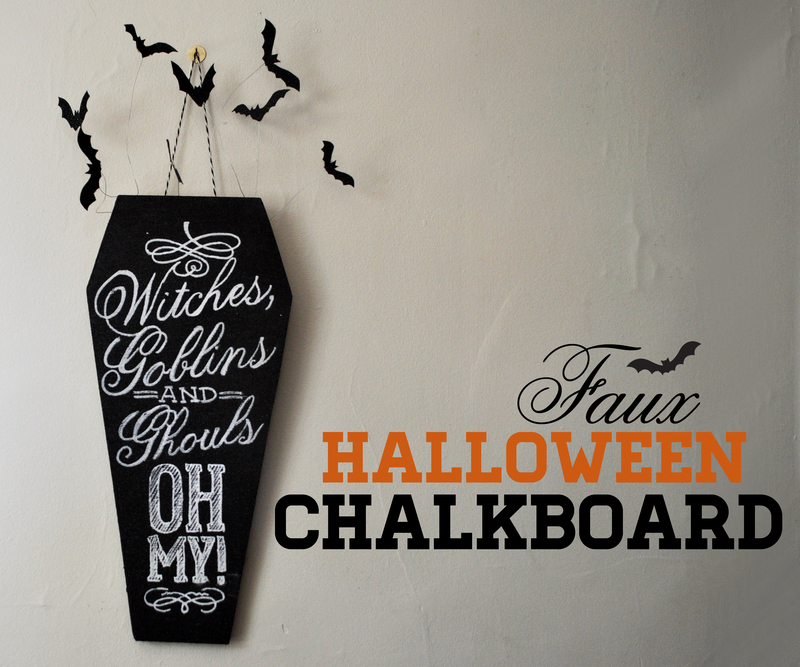 cut your board to your final template size – we used a table saw (a mitre saw would work too) and apply the black paint. 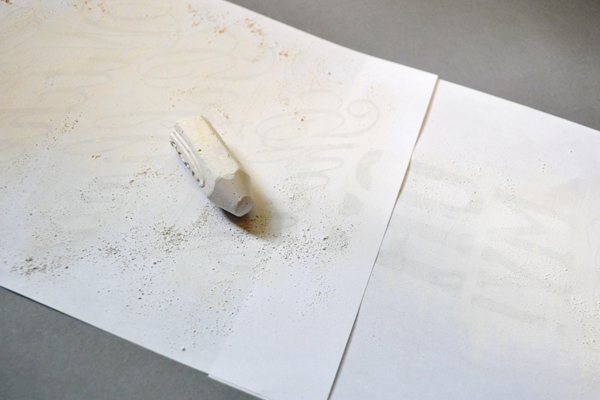 STEP 2: On the back side of your template scribble with white chalk over all the text & ornaments. 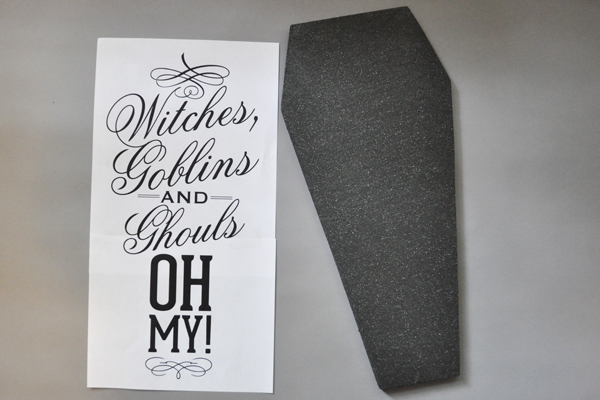 STEP 3: Turn your template over and line it up with the front of your coffin board. 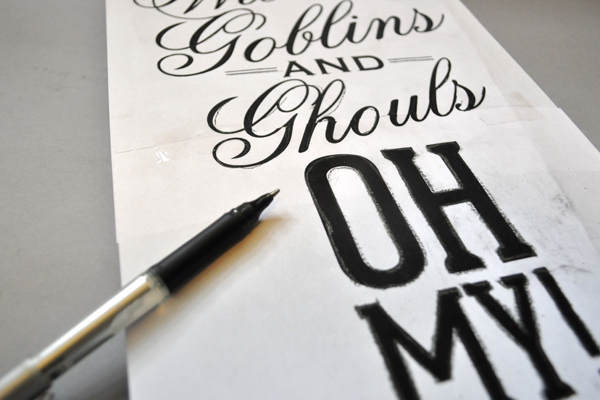 Trace over the letters using a pen or pencil. 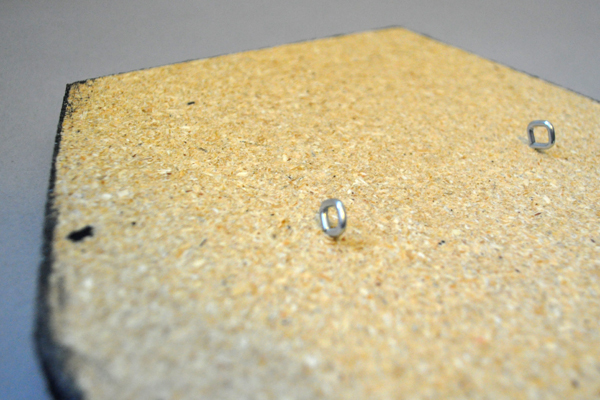 after tracing this is what the board will look like. 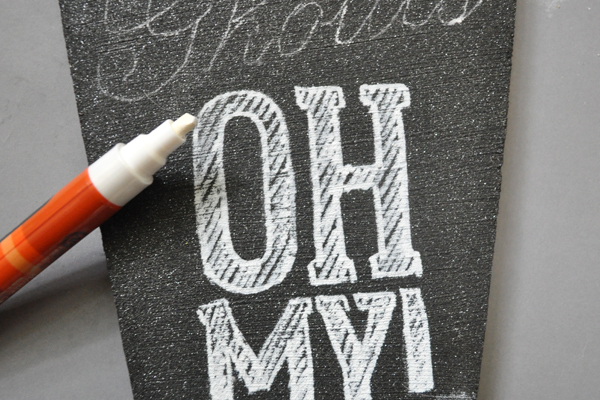 STEP 4: Take your chalk marker and trace over your letters and ornaments. 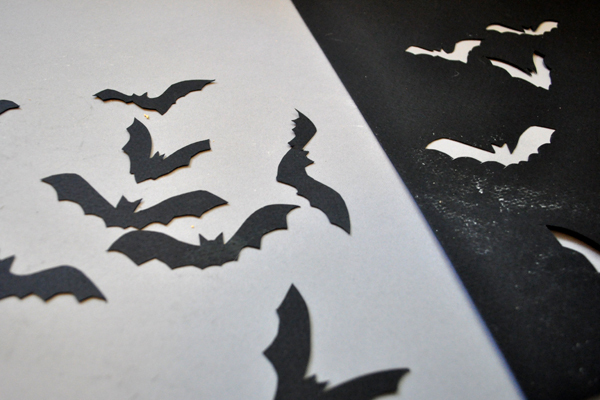 STEP 5: Trace your bats onto black card stock paper and cut out. 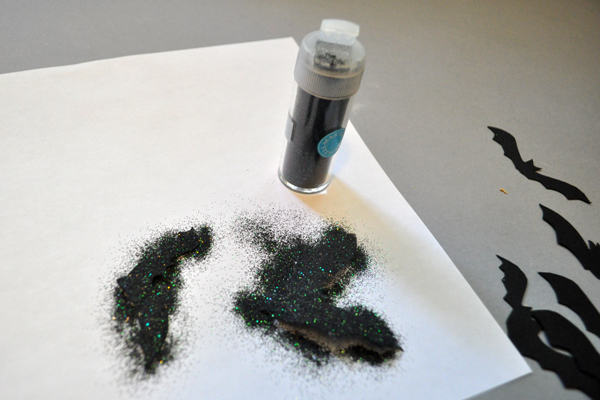 STEP 6: Apply glitter glue to the bats and cover with black glitter. STEP 7: After the bats dry attach the thin wire to the back using tape. 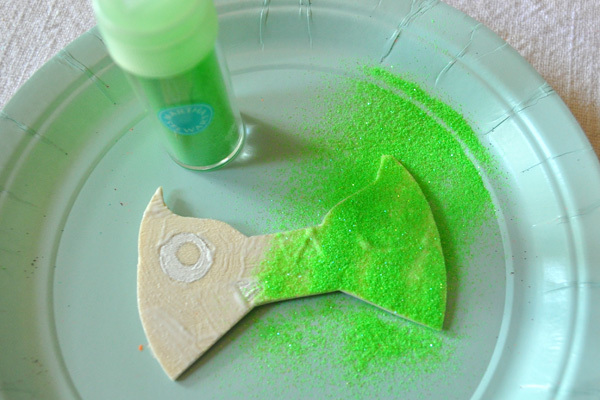 STEP 8: Attach the eye hooks on the back (I placed mine just a couple inches down from the top). 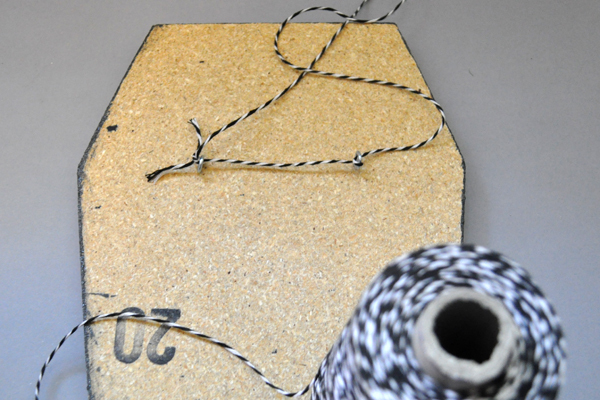 STEP 9: Loop string through the eye hooks to hang. 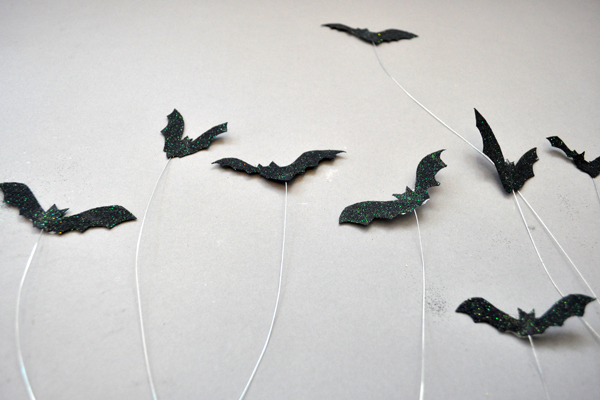 STEP 10: Attach the bat wires to the back of the board with tape so they float above the coffin. 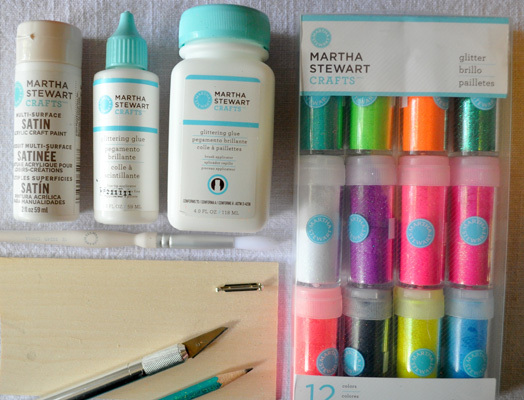 when I got the email from Martha’s office to work on a craft, I jumped at the chance! 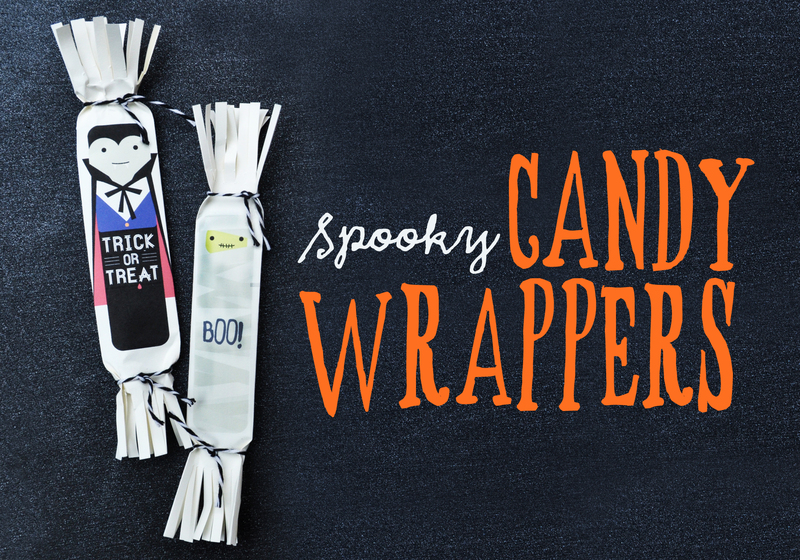 I have been in love with Martha Stewart Craft’s at Michaels for quite some time now. 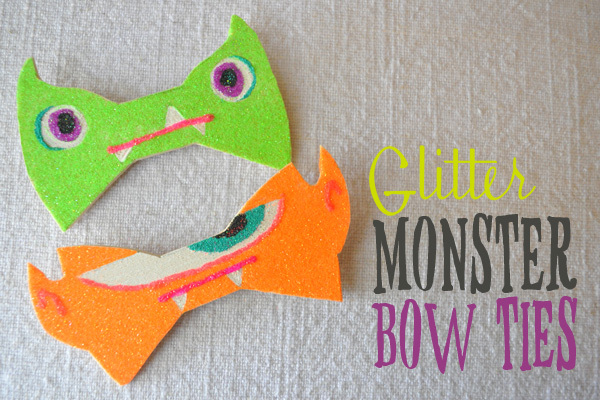 with so many crafts out there for little girls I thought Henry (my 3 year old son) would love something with glitter and Halloween is right around the corner so why not a glitter monster bow tie. 1. 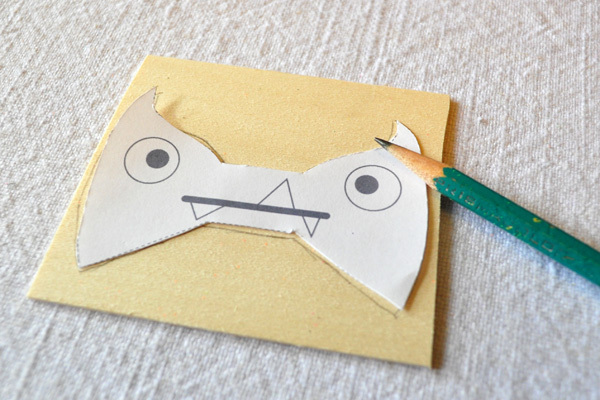 Print the “free” template below and cut out your favorite monster. 2. 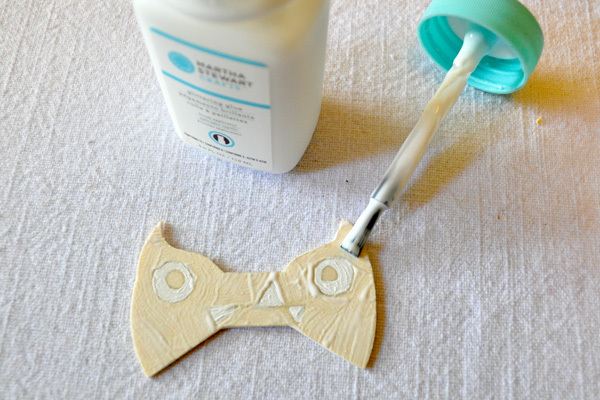 Trace bow tie onto balsa wood. 3. 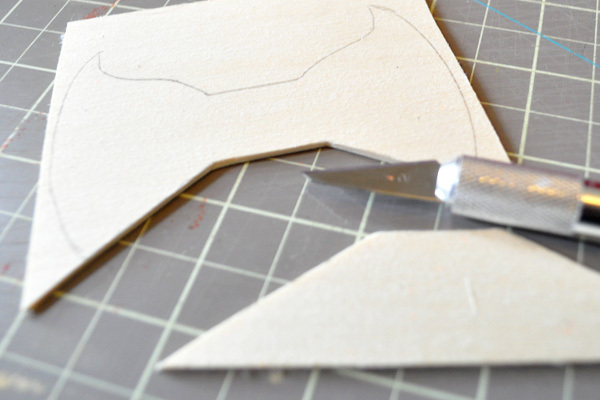 Carefully cut out bow tie with cutting knife. 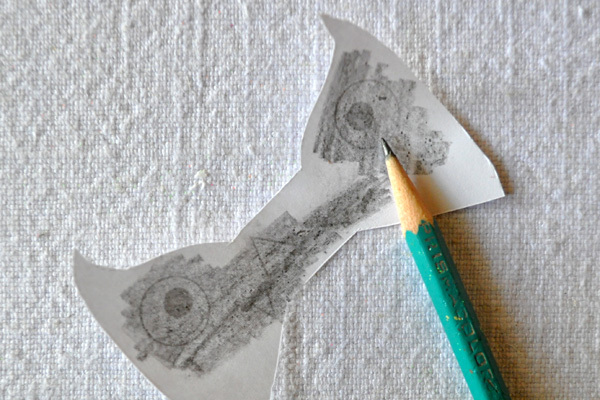 4. scribble back for easy transfer of eyes & mouth. 5. 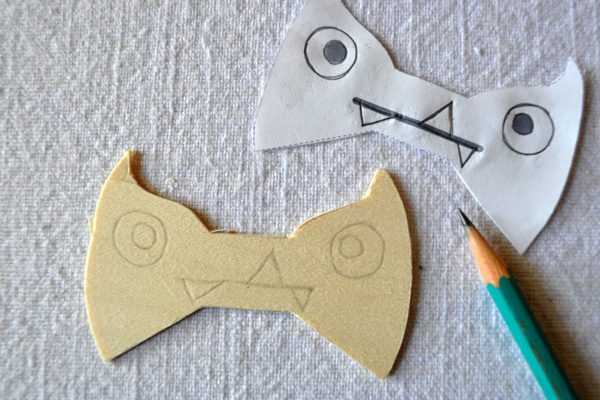 Flip the template over and line it up with the bow tie with a pencil trace over the eyes and teeth. 6. Paint eyes and teeth. 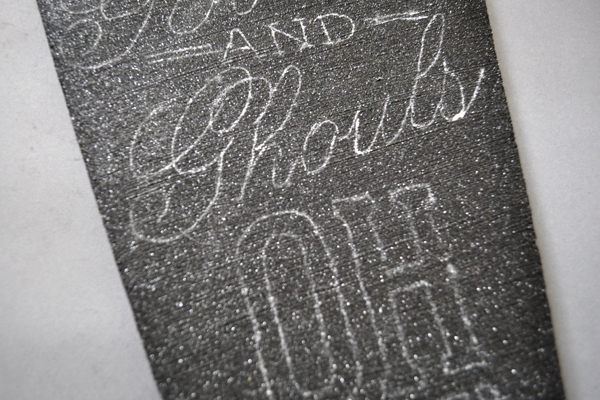 I used “wedding cake” multi-surface satin paint by Martha Stewart Craft’s – let paint dry before applying glitter. 7. 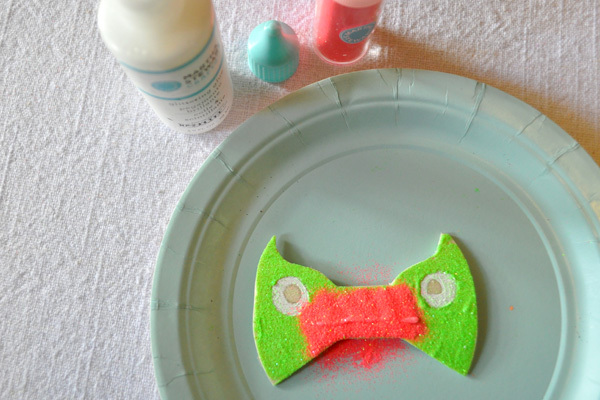 Use the Martha Stewart Craft’s Glitter Glue to go over the base of the bow tie except for the white eyes & teeth. 9. I used the smaller tip glitter glue for the mouth and eye details. 10. 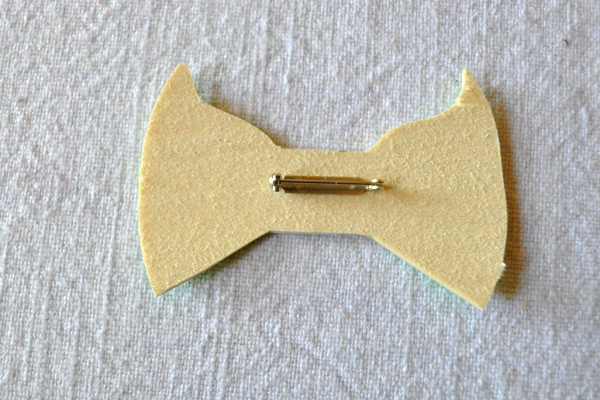 After everything is dry flip over the bow tie and hot glue your pin back. 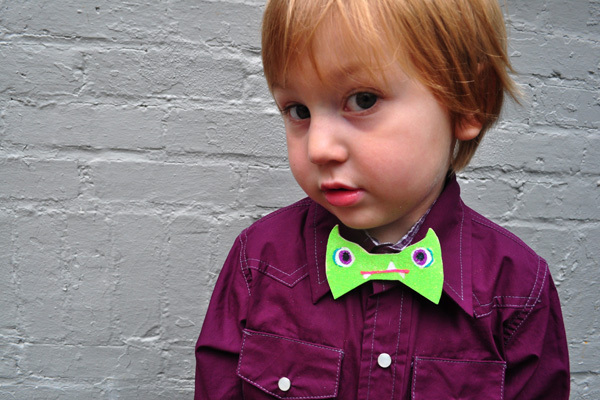 Henry loves his new Glitter Monster bow Tie. 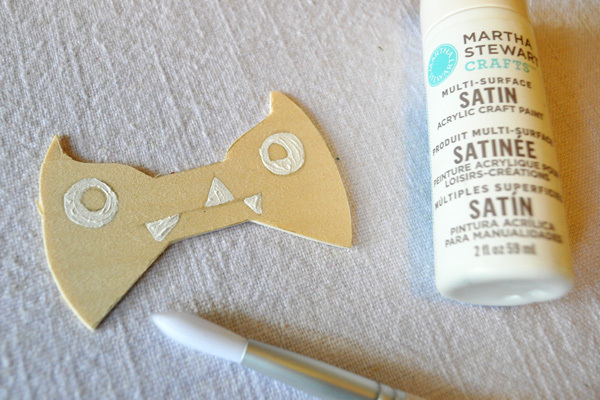 Check out my latest DIY for Handmade Charlotte.